The NAB Show is where product developers and content creators from around the world come together to show off the next wave of digital video. Our NAB 2011 coverage was a blast and 2012 looks to be even better. 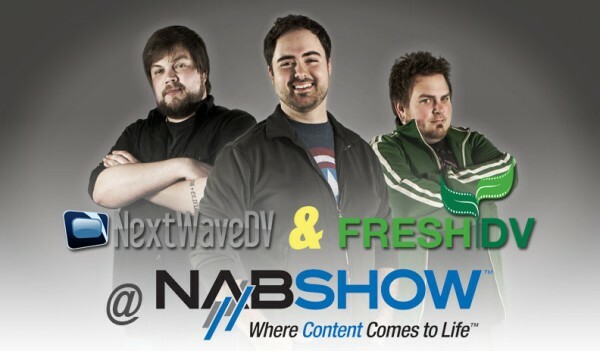 To provide our viewers with the best coverage possible, our team is partnering with the guys at FreshDV for this year’s NAB Show. Tune into NextWaveDV and FreshDV for news and videos about the latest gear. Coverage begins April 16th.